Want a smart device that acts exactly like your phone but also tracks your fitness and sleep? You may be forced to wear both a FitBit and an Apple Watch to get the results you are seeking. Want a smart home device that talks to both your TV and your smart lights? That’s not going to happen either without some middleware. Data silos affect everyone in a service or goods ecosystem from the trucking company to the driver and ultimately to the consumer. It’s obvious through all these examples that we’re living in a world where getting technologies A and B to talk to each other is actually surprisingly hard — even when it seems obvious that they should. This swivel chair effect you get from having to access multiple software applications at the same time can do more than make your head spin — it can lead to shipment/service delays, cost overruns and unhappy customers. Imagine how these issues are proliferating for enterprises trying to understand which parts of their processes are working great and where some visibility gaps and inefficiencies lie. That’s the problem CalAmp is trying to solve for businesses with our latest CalAmp Telematics Suite. We know in the telematics world, it’s not enough to just be able to track each piece of your business’ process. You need insights into all your data channels in real time to know exactly what’s happening, from on-road vehicles to off-road equipment and container to cargo without having to check multiple different applications, dashboards or interfaces. That’s why we’ve blended seven of our solutions — SC iOn Command Portal™, AssetOutlook™, FleetOutlook™, GovOutlook™, iOn Hours™, CrashBoxx™ and DeviceOutlook™ — so our users can gain one unified view from one application using a single set of APIs. For construction companies, they now have the power to look at every excavator, dump truck, backhoe and bulldozer on a site, note how often it was used and for how long and tie that together with location and operator information to inform current and future jobs. Dispatchers, risk management, maintenance and fleet managers can access the information they need to use only the exact tools required, transport the correct materials and dispatch the right operator, cutting down costs, maximizing efficiency and lessening any logistical headaches. For logistics or service companies, this marks the first time they can be certain of exactly who delivered what package — not through just a key fob paired with a vehicle but through a tightly integrated platform that tells you for certain where the truck is, who is driving it and what cargo they are carrying. We can add to that data mix the environmental conditions of the goods in shipment at the time, so businesses know temperature, light, humidity and any delays along the way that might have affected the package’s condition before final delivery. The key to all of this is how easy the CalAmp Telematics Suite is to use. Managers can activate any data stream at any time, so if one minute the most important metric is time card validation and the next it’s predicting preventative maintenance, both of those answers are instantaneously at the fingertips of the staff that needs it most. 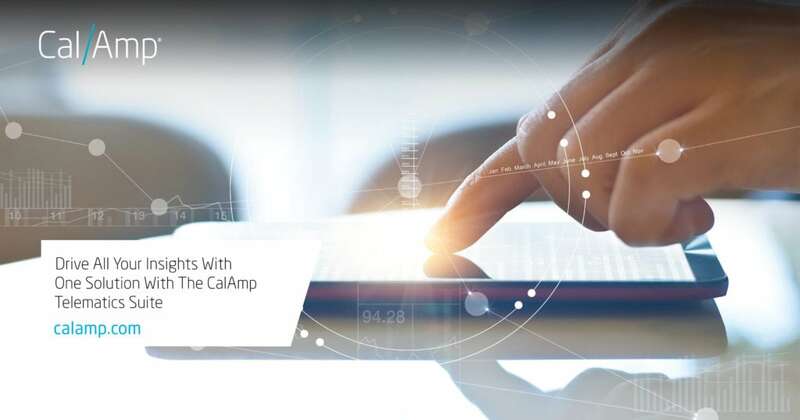 So while consumers may still have to wait for that silver bullet that tracks and controls every digitized part of their lives, for CalAmp customers, that wait is over. They can now add up their “who,” “what,” “when,” “where” and “why” questions and leave the “how” up to us.